If you’ve ever considered going to college for a course or two, or even full-time, here’s an event that may influence your thinking. 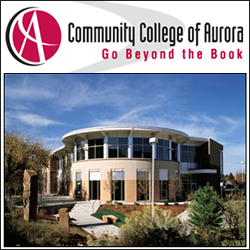 CCA is hosting a Community Education Fair on Nov. 8 from 4-7 p.m. on the Lowry campus in the Todd Bergren Room. The purpose of the event is to encourage community members to enroll in college by introducing them to what CCA has to offer. The scope of the event will be interactive, rather than merely tables with stacks of information. EMS for example could bring high-tech mannequins or the Art and Design Dept. examples of student work. The college will have representatives from each academic department as well as student success programs, transfer programs, the CCA foundation, financial aid, advising, etc. So, come on out and examine what’s available academically in your own backyard.